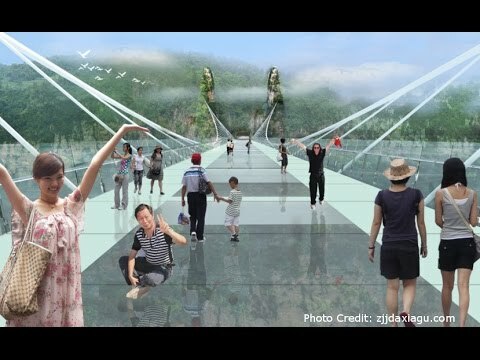 China Opens World’s Longest and Highest Glass-Bottomed Bridge in Shiniuzhai Park, China. It is 590-foot-high and 984-foot-long glass bottom bridge. It’s called Brave Men’s Bridge or Haohan Qiao and is the world’s longest glass bottom bridge.